Call to place a pre-order and get 10% OFF! Grapes have long been a part of the Lodi landscape, where bountiful wild vines used to grow along riverbanks. From the first planted vines in the mid-1800s, the region has flourished into a world-class producer, with most of the land dedicated to red wine grape varieties. Lodi’s grapes benefit from a Mediterranean climate of warm days and cool nights, and a dry growing season which allows growers to precisely manage vine growth through irrigation. Two mountain-fed rivers run through the region bringing rich granite-based minerals to the soil which lend complex flavors to the grapes. Black Cab is an intriguing blend of Cabernet Sauvignon and Gamay Noir. Gamay is a light-bodied red wine revered for its floral aromas and earthiness, with tart red berry and lively acidity. Cabernet Sauvignon is a full-bodied red loaded with black fruits, cherry, black pepper and hints of earth. This balanced blend marries the best of both varietals into an energetic medium-bodied beauty. Ripe and round with vibrant acidity and silky-smooth tannins, expect pronounced cherry and juicy red berry flavors rounded out with notes of cassis, spice, subtle earthy undertones and soft vanilla. 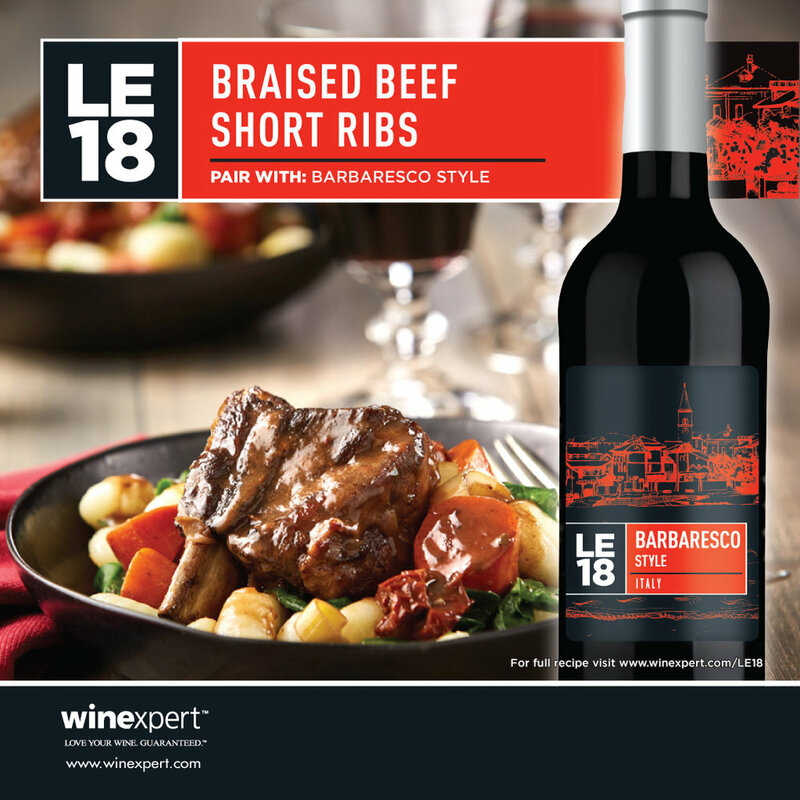 Pair with grilled red meats, pizza, black peppercorn tuna, black bean stews or roasted pepper dishes. Hot dry winds, low rainfall and an annual average of 2,220 hours of sunshine make Hawke’s Bay one of the warmest, driest areas of the island. Several major rivers running through the region have changed course over the millennia, resulting in a diverse collection of soil types, making it very versatile for viticulture. With these ideal fruit-growing conditions, it’s no wonder this is the oldest and one of the most celebrated wine regions in New Zealand. Don’t let the name fool you – though ‘Fumé’ means ‘smoke’, don’t expect a smoky white wine. Coined in the 1960s to denote a new and different style of dry, oaked Sauvignon Blanc, the name is derived from Pouilly-Fumé, a popular French appellation that specializes in a similar style wine. Made with lush New Zealand Sauvignon Blanc, this mouth-filling wine delivers a rush of ripe tropical fruit on the palate, with complex layers of gooseberry and melon, bright acidity and hints of grassy mineral notes expertly harmonized with a gentle creamy vanilla oak. Pair with goat cheese, seafood platters and chicken or pasta dishes with creamy sauce and spring vegetables. in between the Andes and Coastal Range mountains, the valley’s vineyards reap many benefits from these towering neighbors. Meltwater rivers provide irrigation during dry summer months and deposit rich minerals in the soil, and hot sunny days are balanced by cool air drifting down from the snow-covered peaks of the Andes at night; these daily temperature swings cause the grapes to ripen slowly, allowing for optimal flavor, tannin and color development. This wine is a charismatic blend of Carmenere, Cabernet Franc, Syrah, and Pais. Carmenere, the signature Chilean grape, delivers jammy raspberry and herbal spice. Cab Franc brings bold cherry, juicy berry and acidity, while Syrah lends intense black fruit flavors and tannin. Pais, widely planted in Chile for centuries but little-known elsewhere, rounds out the blend with rustic red fruit and crisp acidity. This juicy blend is full of expressive black and red berries, surrounded by cherry and tart plum notes in harmony with underlying oak, bright acidity and smooth polished tannins. Symphony is one of California’s hidden gems bringing peach, apple and tropical fruit flavours, it is a natural and perfect complement to Gewürztraminer’s characteristic lychee notes. An aromatic blend with floral and juicy peach aromas, this off-dry wine deliciously combines lush tropical and stone fruit flavours. Crisp and bright with expressive fruit and subtle sweetness, this wine really sings when chilled. A beauty to sip on its own, or a perfect companion to spicy Asian dishes, zesty barbecue or baked ham. Piedmont boasts a rich cultural and winemaking history going back to the Middle Ages and is home to Italy’s most revered red wines. Located at the foot of the Alps, the region’s hilly landscape is lush with valleys full of vines, with many sunny slopes reserved for the prized Nebbiolo grape. The continental climate sees long, hot summers but thick morning fogs commonly roll through the valleys bringing cooler air. This rhythm of rising and falling temperatures slows the ripening of the Nebbiolo grapes, resulting in aromatic wines high in acid, alcohol and tannin – prized attributes of the Barbaresco wine style.